What began in Chicago in 1978 is now one of the most award-winning steakhouses around. 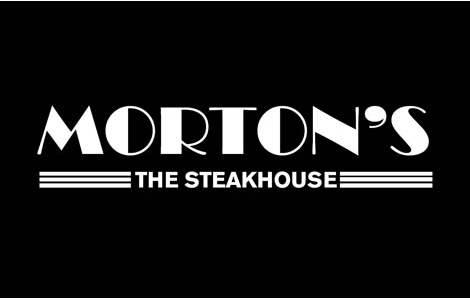 For over 30 years, Morton's Steakhouse has been on a mission to provide "The Best Steak… Anywhere." Focusing on quality, consistency and genuine hospitality, Morton's seeks to provide not only memorable cuisine, but a memorable experience as well. With fresh, succulent seafood and their famed USDA prime-aged steak, it's no surprise that Morton's has thrilled diners all over the world. This Card is issued by MOCGC, Corp. and may be used to purchase goods and services at any Landry’s, Inc. or affiliated location in the U.S. until the full balance is used. The Card has no cash value; except as required by law, it is not redeemable for cash. It will not be replaced if lost, stolen, altered or damaged. Any resale is strictly prohibited. For balance inquiries, call 1-888-345-8380. For more information: www.landrysinc.com.